The Property Buyer Show Gauteng follows the successful launch of Property Buyer Show Western Cape, which saw over 3,100 visitors enagage with leading real estate brands on 8th and 9th April at the Cape Town International Convention Centre. The Property Buyer Show is aimed at residential property buyers who either want to buy their first home,or build wealth through their own property investment portfolio. The innovative exhibition layout is designed to walk buyers through the property buying process – and includes a finance zone, property zone, a first-time buyer seminar theatre, property investor theatre and a lifestyle theatre. We create a one-stop shop where prospective homeowners can interact with the brands that can help throughout the entire process, from finance to property, insurance and wealth management. Our launch show in Cape Town met and exceeded visitor and exhibitor expectations, and we were pleased to see property being reserved and purchased on the exhibition floor. Create a transactional platform for property buyers to engage with the residential property sector. Showcase latest developments within the Gauteng region. Educate and inform property investors about building wealth through a property portfolio through a series of seminars and workshops presented by successful investors. 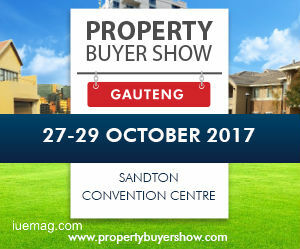 Promote the Gauteng property market to a local, intra-provincial and international buyer audience. Providing a one-stop shop, where property buyers can save time, compare multiple assets and make informed choices. Enhance the visitor experience by creating fun, interactive and entertaining brand interactions. Buying your first home can be an overwhelming experience, and putting all your hard earned money into something that you are uncertain about is a daunting thought. The Property Buyer Show gives you an opportunity to listen to the best advice from industry experts, ask questions, and shop for the best deals. How much can I afford based on my income? What criteria do the banks use to decide if I will get a bond? How do I make sure I am getting the best deal? How much will the legal and transfer fees cost? Do I have to use my bank's law firm? What is bond cover? Life insurance? What happens to my repayments if the interest rate goes up? What other costs can I expect to incur? Meet with financiers and understand your affordability, how to apply for a bond, and shop around for the best interests rates. Meet with Estate Agents who can help you find your dream home. Meet with developers selling off-plan – saving you money on expensive transfer duties. Meet with insurance companies who can provide your life, building and home contents cover. Meet with the law firms who will register the purchase with the deeds office and advise you about including the property on your Will. See some of the leading brands and products that you can furnish your new home with! The iUeMagazine team is delighted to work with the Property Buyer Show Gauteng as Online Media Partners & is expected to bring Unlimited Inspiration for all readers from the proceedings of this event. Staying tuned to the enriching updates from this event is recommended. We are very excited about delivering the event in Gauteng and hope you are available to join us. Any facts, figures or references stated here are made by the author & don't reflect the endorsement of iU at all times unless otherwise drafted by official staff at iU. This article was first published here on 28th June 2017.